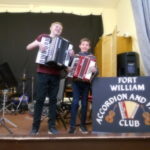 Fort William Accordion and Fiddle Club welcomed guest artistes Duncan Black on accordionist and Marie Fielding on fiddle and concertina, as well as a host of familiar faces, to a well attended event at the Railway Club, Inverlochy, on Tuesday February 7. 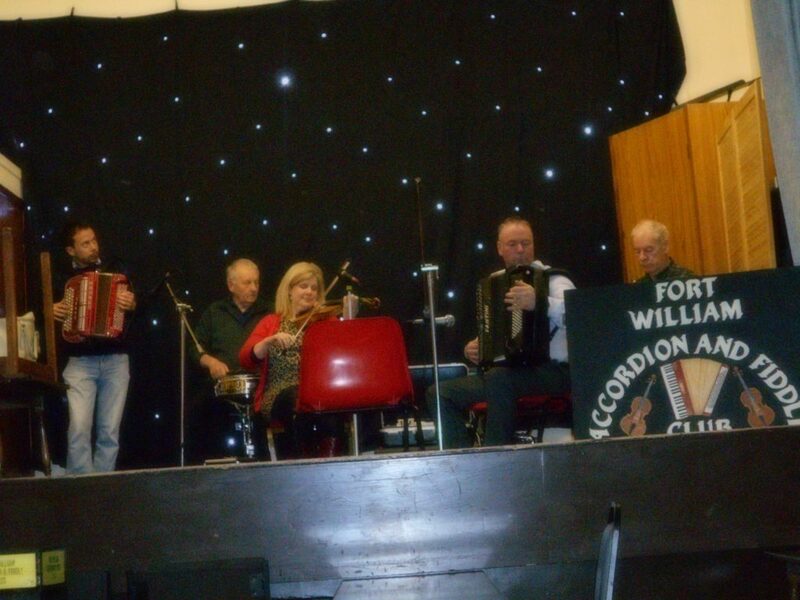 Supporting locals on accordions were Heckie Henderson, Robert Nairn, Calum MacColl and two of the club’s young accordion players in the shape of Cameron MacIsaac and Craig Kennedy. Accompanists Simon Andrews on drums and Sheila Henderson and Heckie on keyboard. 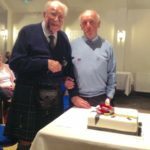 Thanks to everyone who attended and to the musicians. More young talented players are welcome to join the club. Next club night is on Tuesday March 5. All welcome.